Your overall wellness is characterized by how you are doing and feeling physically and emotionally. A great way to satisfy both the physical and emotional aspects of wellness is activity, and one of our favorite activities is yoga! You may have doubts about being able to perform certain yoga positions, but fear not! Stroke, the American Heart Association journal, chronicled a test group new to yoga that was practicing twice a week for 8 weeks. The subjects showed dramatic improvement in balance, and decreased fear of falling. There’s no better way to improve wellness than to reduce stress. Ohio State University released a study that reported women who practiced long-term yoga showed significantly less stress-related compounds in their systems than women who did not. There are a variety of yoga types, and even more ways to experience it. Take classes with a studio, practice with a DVD, or even try it on the beach – anyway you do it, you are cultivating wellness! 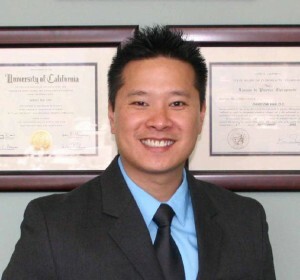 Woodland Hills Chiropractor Dr. David Van, D.C. has been in practice for over 10 years in the Woodland Hills area. Here at Sigma Wellness Chiropractic and Sports Medicine. We offer services such as Massage Therapy, Physiotherapy, and Rehabilitation plans designed to help patients get better, stay healthy, and live an ACTIVE LIFE. Headaches, NECK PAIN, Back Pain, DISC BULGE, Joint Degeneration, SCIATICA, Numbness & Tingling in the Arms or Legs, SHOULDER PAIN, TENDONITIS, Frozen Shoulder, ELBOW PAIN, Hand Pain, CARPAL TUNNEL, Hip Pain, KNEE PAIN, Ankle Pain, FEET PAIN, Plantar Fasciitis, LIGAMENT SPRAINS, Muscle Strains, MUSCLE WEAKNESS, AND MORE..